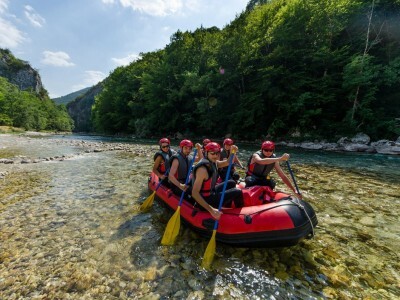 Escape heating Mostar or Sarajevo for 1 cool day rafting on the Neretva River. 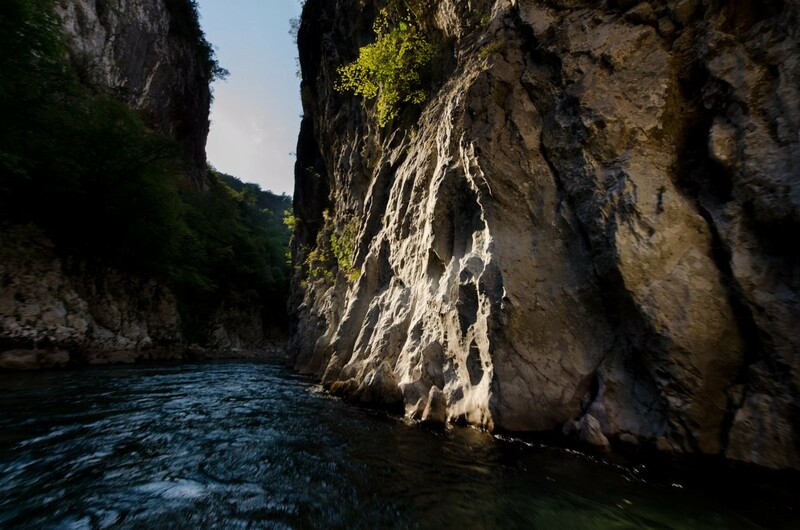 We'll pick you up at your hotel, arrange an unforgettable rafting day and then take you to another destination. 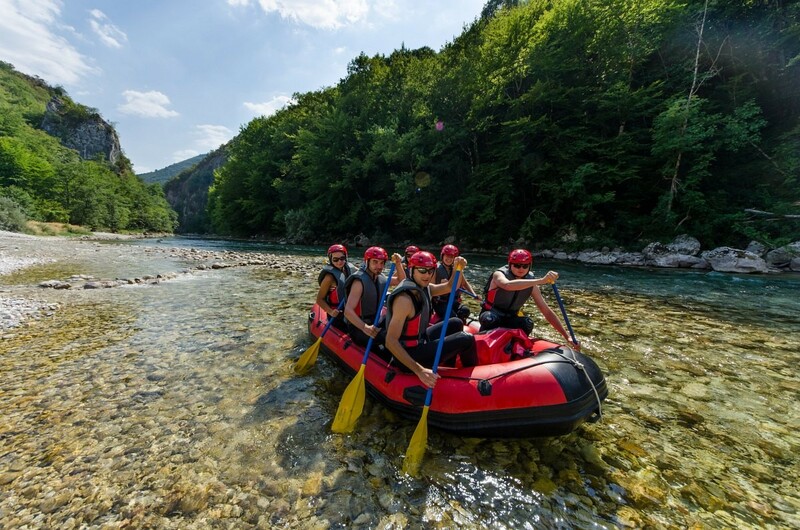 Rafting on the Neretva River is adventurous and definitely one of the most enjoyable day trips in Bosnia and Hercegovina. 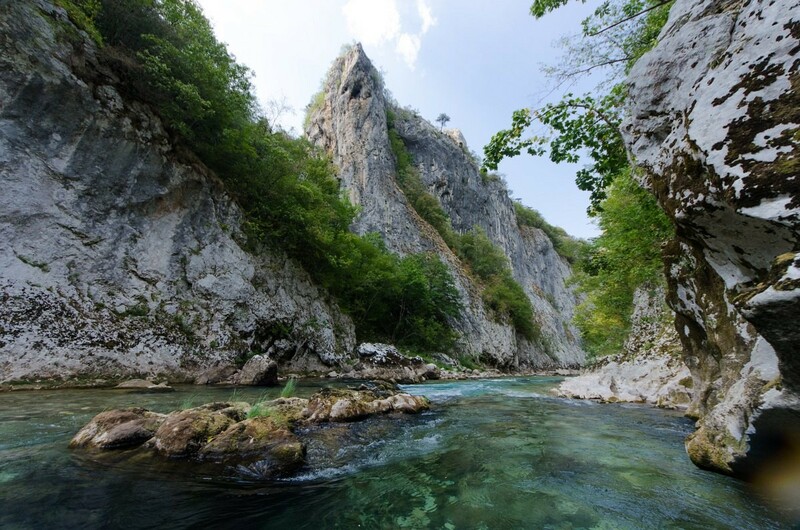 Rafting trips start in Konjic, which lies halfway between Sarajevo and Mostar. We can take you there and back with our shuttles, arrange a rafting trip and offer you this great rafting day including transport in a single package. 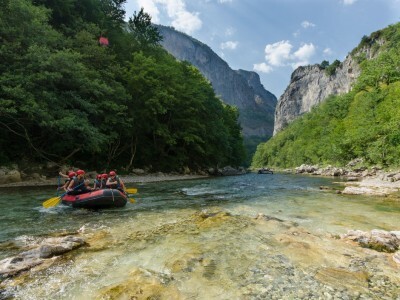 Even better, you get the best price because the Neretva rafting compnay (Raft Kor) is also run by us. 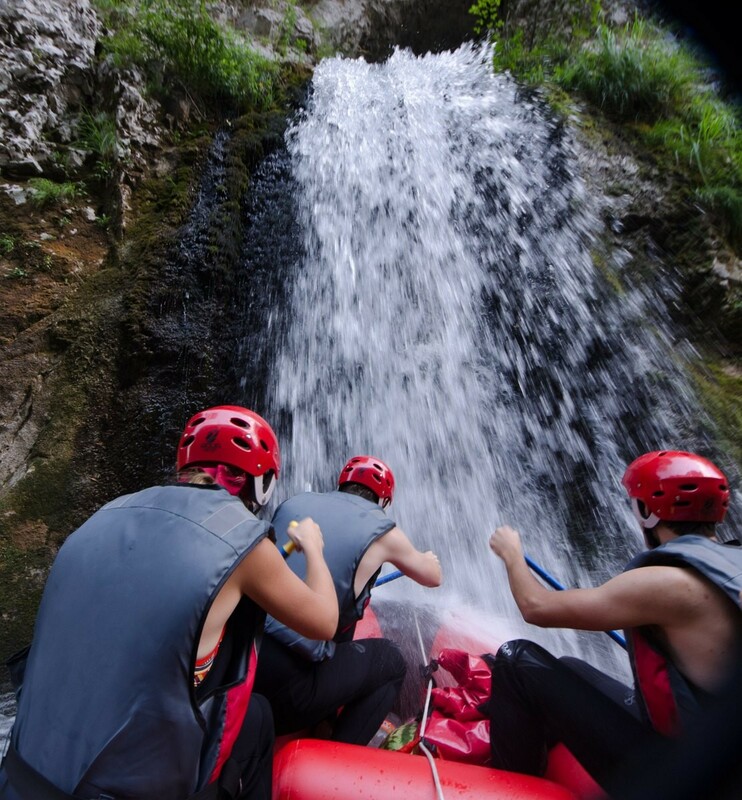 Experience an unforgettable rafting adventure! Feel the adrenaline in white water rapids. 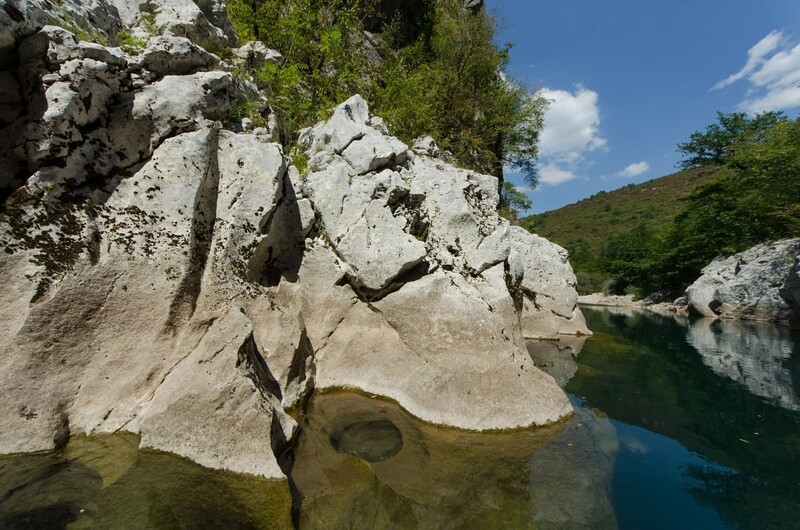 See the beautiful scenery of the Neretva river, as it carved through a deep rock valley. Treat yourself with a barbeque. 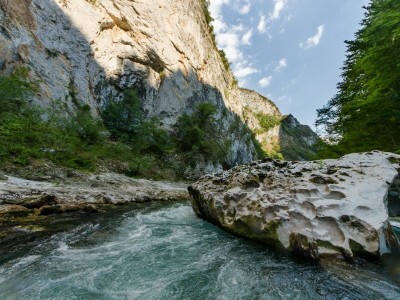 All you need to spend a whole day of unforgettable rafting experience in Bosnia and Hercegovina. The trip starts at the door of your hotel. 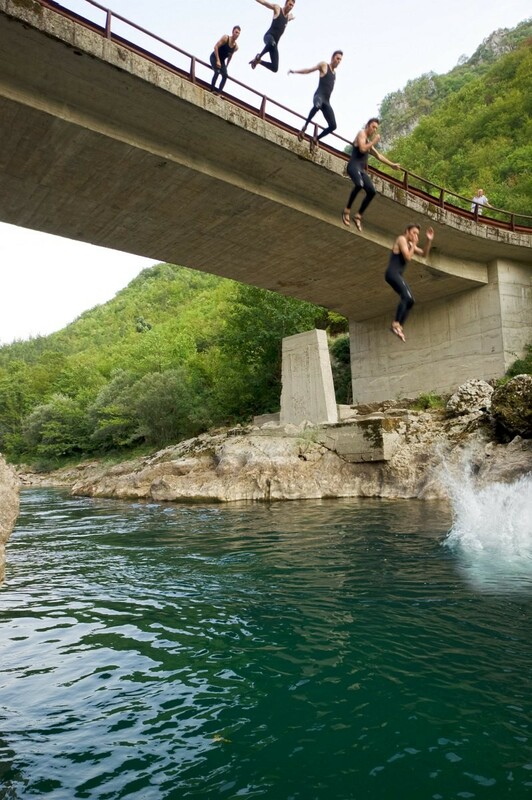 It doesn't matter if you stay in Sarajevo, Mostar or anywhere else. 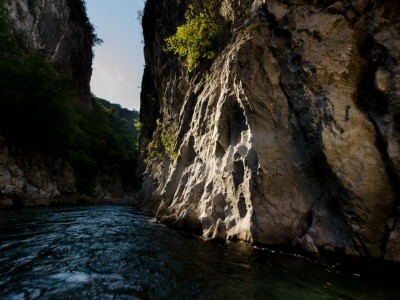 Our driver will pick you up soon enough to get to Konjic at 9 a.m.
You'll get breakfast in the restaurant at 9:15 a.m.
We'll transport you across a mountain pass to the point where you'll start your rafting trip. 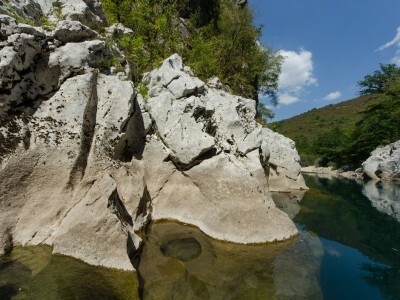 We'll provide you with all needed equipment: life jackets, wet suits, helmets and a waterproof bag. We have sizes even for small children. 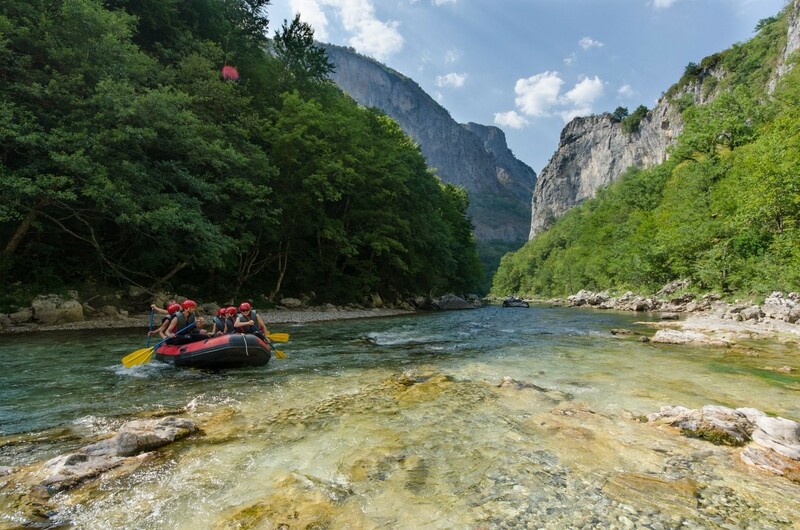 You'll raft 25 km down the Neretva river, for approx. 6 hours with an experienced rafting instructor (skipper). 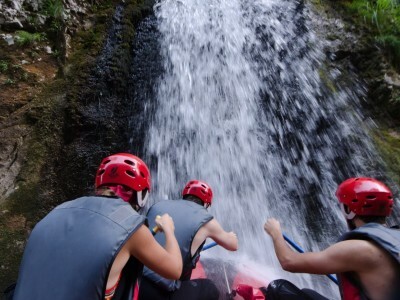 During the rafting trip, you'll feel adrenaline on 4 rapids (difficulty WW II-IV), pass under a waterfall shower and drink water directly from a natural spring. Already hungry? We got you covered. 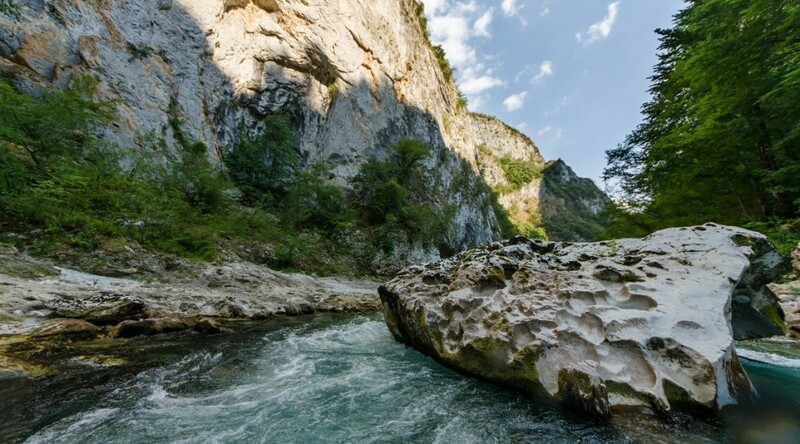 For luch, we'll have a tasty barbecue prepared on beach in the Rakytnica canyon (grilled meat, vegetables, pita bread, all halal). After you'll refill your energy, you can jump from cliffs to deep water, swim in rapids etc. etc. The trip is sooo much fun! And also safe even for children! 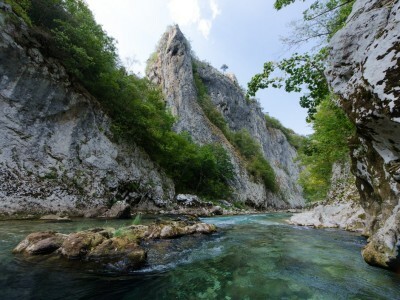 Rafting trip ends in Konjic at approximately 5 p.m.
Our driver can take you to your hotel at any place in Bosnia so you can have another awesome day in this beautiful country.